The feet are the most heavily used parts of the body and also the ones that receive the least attention. Each foot contains of 26 bones, 33 joints and over a 100 muscles, ligaments and tendons. All these are needed to support the weight of the body and counter the stress the feet are under with every step that is taken. The feet do show signs of exhaustion which is why we all love a good foot rub. It relaxes the muscles and promotes blood circulation, making the feet feel less stressed and more energized. While this is always nice, there is much more that can be done for the feet and by doing that, improving the health of the rest of the body. It not something that can be done at home. The best way to give your feet the care they deserve is by getting a regular Thai foot reflexology massage. The modern urban dweller, even in a beautiful city like Boulder, faces pressures that were unknown a generation ago. That is why yoga, meditation and other forms of exercise and therapy to help the mind and body to unwind are now so popular. Vacations are no longer just about fun, they are a way to get away from the daily grind and recharge the batteries. But yoga and meditation do not work for everyone and you can’t go on a vacation every couple of weeks. So what else is there to rejuvenate your body and spirit and help you to live life to the fullest? The short and simple answer is a massage or to be more specific, Thai massage. 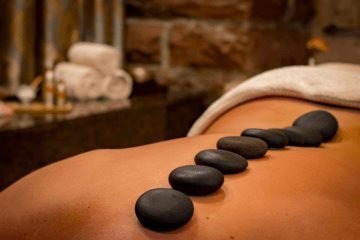 Many people feel guilty about going to a massage spa – they think it is a luxury and the money spent there could be used better elsewhere. That is wrong. Living in the world of the internet makes it easy to stay in touch with friends. But are you really in touch with them? You may know all their news and all that’s happening in their lives, thanks to social media. But does that really replace spending quality time with people you care about? Isn’t something lost in the friendship if you do not actually do things together, instead of just talking about it online? Isn’t it time to rectify this situation and re-establish friendships in the real meaning of the word? If you agree, then a party is a great way to make a start. It shouldn’t be too big, just a few people you are really close to and who are comfortable with one another. The tricky part is to find the one activity that will appeal to everyone while at the same time make them feel at ease so that cementing the bonds of friendship really works. So why not try a massage party? You may still be wearing your woolens, but summer will be here sooner than you realize. Summer is the time of year when you want to spend time outdoors, be active and if possible, take a vacation. All that means working your body hard. If your body is not ready for all that you want to do, you could end up spending the summer with sore muscles, ice packs on joints and perhaps even in bed on the really bad days. Starting to get ready now for the long hot days ahead will enable you to do all that you want to and collect a lot of happy memories to see you through the following winter. Massage is a great way to tone up your body for the summer. It is important to love but to be loved is more important. Valentine’s Day is coming and a lot of people in the world are expecting a loving experience from their spouse. Let’s make it intentional and fun with your sweetie and be healthy along with that relationship of love in your life. Many people are trying to find a special way to celebrate Valentine’s day to impress their lover. There are plenty of other things to show your love and make your love smile. There is many idea to answer to this question. Every person’s needs are different. Just as another person’s diet or exercise regimen may not be right for you, so too you need to find your own massage needs.  Your general health, lifestyle, and physical and mental objectives all contribute towards the type and frequency of your massage needs. For example, a professional sportsperson may require a massage almost every day as part of a training program. A person recovering from an injury or suffering from a chronic physical ailment may need a weekly massage. For others, even once a month will be enough. To help you decide on the massage frequency that suits you, consider these factors and how relevant they are to you.